​While VR is growing in the news industry, this mode of communication allows viewers to connect more emotionally to journalistic stories. New applications released in the past year give audiences a clear and movable 360-degree perspective of the scene of a story, making it easier to connect with the event. While a narrator often reads over the audio of the visible place, the full-panel picture created allows viewers to place themselves in the scene, and TechRepublic reports that this invokes “understanding and empathy” in this form of storytelling. While using virtual reality in journalism can help viewers connect to the story, it also provides implications in the same sense. Because it provides more of an experience for viewers, using virtual reality in some events, such as mass shootings or other violent situations, could be too much for audiences. Tom Kent, a Colombia University journalism instructor and editor for the Associated Press, calls for "an ethical reality check", while pushing for lines to be drawn when utilizing virtual reality in journalism. "Common understandings of what techniques are ethically acceptable and what needs to be disclosed to viewers can go a long way toward guarding the future of VR as a legitimate journalistic tool," he argues in a personal blog post. CNN launched an official VR function in their phone app in March 2017, while other news sources, such as ABC News, have been posting 360-degree videos on YouTube since late 2015. These reports are not only educational, but also introspective. VR is available for use on most devices, while the best experience can be found on a mobile smart phone. Many news outlets, like CNN and USA Today, have VR available in their apps, while Google Cardboard headsets allow viewers to get even closer in the experience. The New York Times sent out two masses of these Cardboard goggles to their readers, first in 2015 and then in 2016, in hopes of building their VR audience. The goggles can also be found on Amazon for as low as $5.99. ​Deputy Eric Overall was struck and killed on October 31st while assisting during a pursuit in Brandon Township, and it is believed by the Oakland County Sheriff’s Office that he was deliberately run down. Overall was deploying “Stop Sticks” on M-15 during a pursuit with the Lapeer County Sheriff’s Office, and was struck by the suspect’s vehicle while he was “well off the roadway”. His death was ruled a homicide due to blunt force trauma by the Medical Examiner, and the Oakland County Sheriff’s Office is investigating the event as an intentional homicide. The Lapeer County Sheriff’s Office began the pursuit with the 22 year-old male suspect after he presented “actions and threats” at the LCSO headquarters. While he has four prior convictions, including for Possession of Marijuana and Resisting and Obstructing Police, the suspect, who is from Macomb Township, is currently being held at the Macomb County Jail. 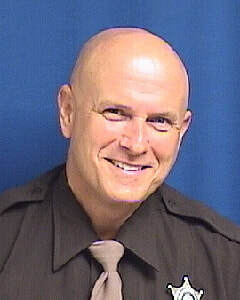 Deputy Overall was a 50 year-old newlywed and father from Genesee County, and was a 22-year veteran of the Oakland County Sheriff’s Office. A GoFundMe account has been established in his memory, and to assist his family during this time. His funeral arrangements are pending.